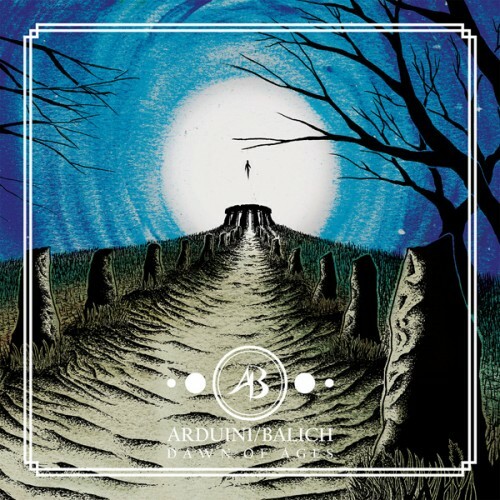 ARDUINI/BALICH is the result of two very powerful figures in their own right of the metal scene. VICTOR ARDUINI needs no introduction being one of the founding members of FATES WARNING, same can be said for BRIAN “BUTCH” BALICH, the mighty voice of ARGUS. “Dawn Of Ages” is one of the most ambitious records ever released on Cruz Del Sur Music. A monumental piece of music, a rollercoaster of emotions, an album that captures the collisions of two worlds, progressive and doom. The final result is a really amazing journey inside human soul. Through six original compositions that last for more than an hour, the audience will be captured and hypnotized by the eclectically familiar Victor’s guitar melodies empowered by Butch’s passionate interpretation. Indeed “Dawn of Ages” is an album that could have been easily recorded in the mid/late 70s for the total dedication that transpires through each and every note of it. It is not an album that wants to please any old or new trend in metal, rather an intimate expression of two musicians who have always put their passion for heavy music before anything else. “Dawn Of Ages” features a wonderful, original Michael Cowell’s (Alunah) artwork, and the vinyl version will be released in a gatefold blue/white splatter vinyl double LP with three incredible cover songs as a bonus. URIAH HEEP’s “Sunrise”, BEAU BRUMMELS’ “Wolf Of Velvet Fortune” and BLACK SABBATH’s “After All (The Dead) .